This scent reminds me of: Miniskirts and London’s more rebellious side. At least, those were the thoughts that came to mind when I first smelled Basil & Neroli. 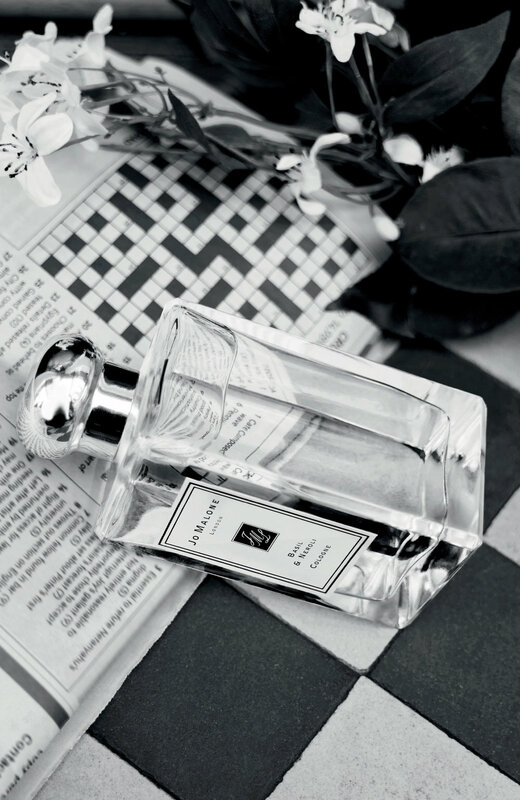 Although these two ingredients always remind me of the Mediterranean, the fragrance definitely exudes the charm of the iconic British style - creative and simultaneously classic. What it feels like: I think I’m not just speaking for myself when I mention that with falling temperatures, my mood can dip as well. This time of year, when autumn begins and we once again live in a world of grey, can also be the best moment to bring some fun back into our lives. If you ask me, this fragrance is the best way to start. I’m not surprised that London and Berlin both have something in common: the need of a silver lining, which, this year, comes in a bottle made by Jo Malone. For: This EAU DE COLOGNE is definitely an everybody's darling. Yet it’s still a fragrance with charm and character that suits only ladies and gents, those who understand the main rules of style: less is better, cleaner is smarter and the more pure the more classic a style and also a perfume gets. Side note: Like all fragrances by the London based fragrance house, this creation is also perfectly suited for an olfactory upgrade through scent layering. My recommendation is: If you want to give the cologne a more flowery note, combine it with the English Pear & Freesia Body Cream. For a more fresh and woody result add a spray of the Black Cedarwood & Juniper Cologne.